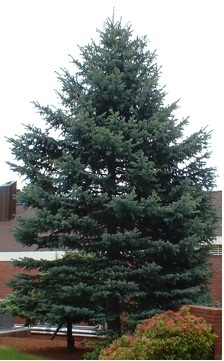 Named after the Sitka community in Alaska, the Sitka spruce is a species of large evergreen conifers found in the western coastal regions of North America at an elevation of 400-1000 m. Being the third tallest coniferous tree species in the world, the Sitka spruce is known to reach over 90 meters in height. Adirondack spruce vs. Sitka spruce: Adirondack spruce has four-sided, curved, and yellowish-green needles while Sitka spruce has flattened, bluish-green needles; the cones in Sitka spruce are much larger than those in Adirondack spruce. 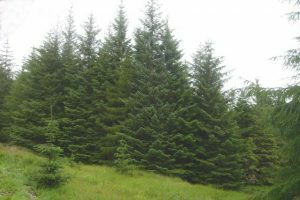 Engelmann spruce vs. Sitka spruce: The Sitka spruce trees are larger and taller than Engelmann spruce, and their native range does not extend beyond 80 km from the Pacific coast. The Queets Spruce, located in Olympic National Park, is the largest Sitka spruce in the world with a trunk diameter of 14.9 ft (4.55 m) at breast height, trunk volume of 11,900 cu ft (337 m3), and a height of 248 ft (75.6 m). 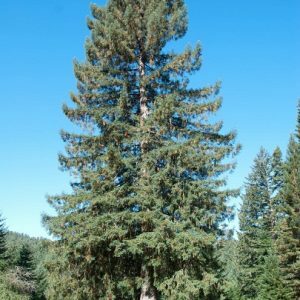 The Sitka spruce Carmanah Giant, located in Carmanah Walbran Provincial Park, is the tallest in Canada with a height of 315 ft (96 m). 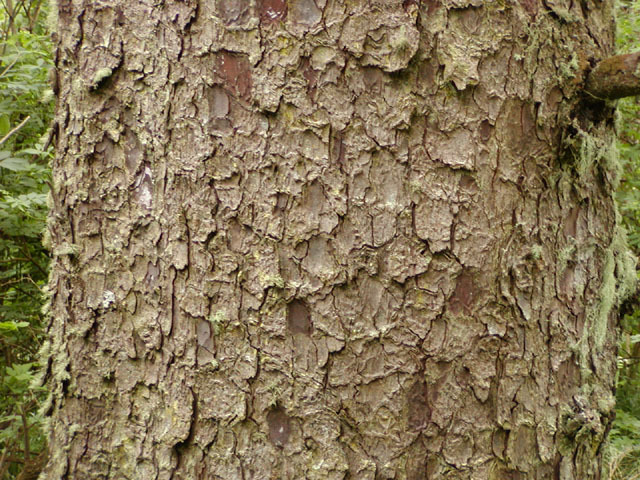 Some of the Sitka spruce trees in Olympic National Forest, Washington often develop tumor-like swellings, called burls. 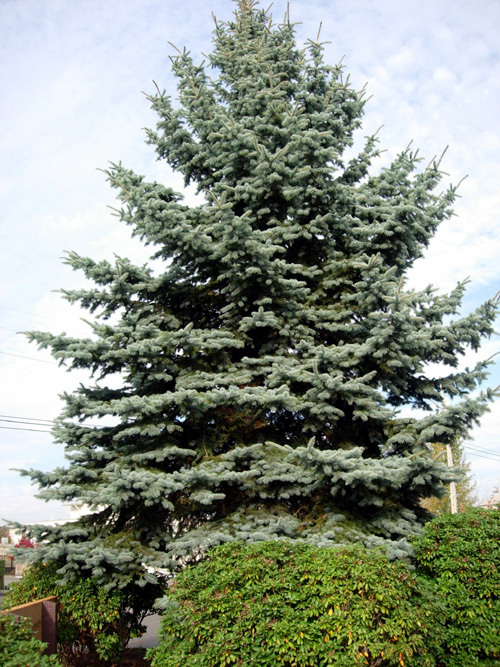 The Wright Flyer, created by the Wright brothers, was built with Sitka spruce. 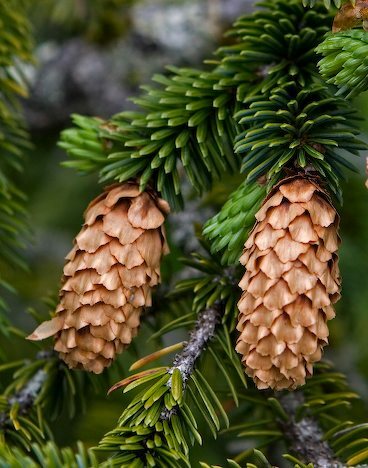 Before the Second World War, many warplanes were constructed using Sitka spruce wood. It was also used in building the nose cones of Trident I ballistic missiles. 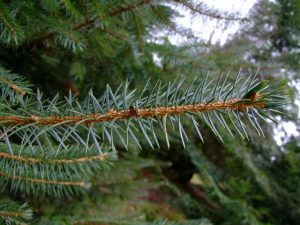 A unique Sitka spruce with golden colored needles, named the Golden Spruce or Kiidk’yaas, grew in Haida Gwaii, British Columbia. 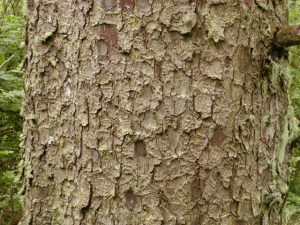 Unfortunately, the rare specimen was secretly felled in January 1997 by a forest engineer Grant Hadwin. 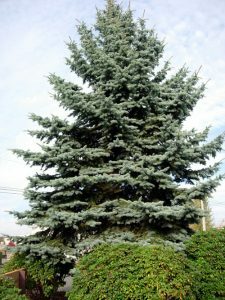 The indigenous Haida people still consider this tree as sacred. Published on June 2nd 2016 by admin under Coniferous Forest Plants and Trees. Article was last reviewed on 2nd June 2016.